The Dino-Lite Premier AM5018MTL is designed for connecting directly to HDTV or LCD monitors with HD 720p format, with long working distance (LWD) feature. This LWD model yields higher magnification and larger depth of field under the same working distance though the highest attainable magnification is smaller. This feature provides greater clearance between the microscope and the viewing object, which can be helpful for applications such as repairing or assembling, quality inspection, assembly lines, presentations, training, and more. The AM5018MTL's MicroTouch provides the convenience to freeze the live video to examine details with a simple tap. The LEDs can also be switched by tap and holding the same MicroTouch for two seconds. 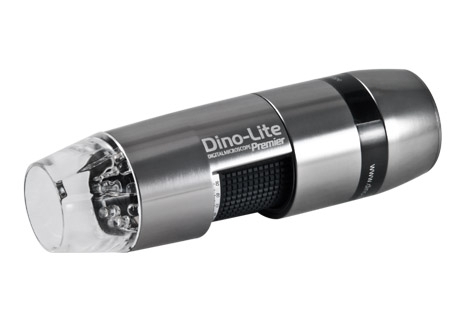 In similar to most general purpose Dino-Lite models, it has adjustable magnification from 20x to 90x varied with working distance.